Make an unforgettable cup of coffee that even a Starbucks barista would envy! 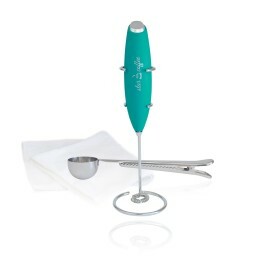 GREAT BONUS: Every order also comes standard with a microfiber cleaning cloth and coffee scoop with bag clip. The only thing better than a deliciously sweet cup of coffee in the morning is adding a warm, frothy foam to the top! And now, thanks to the Star Coffee Milk Frother, you can add the perfect whipped foam topping to your favorite blend in less than 20 seconds! 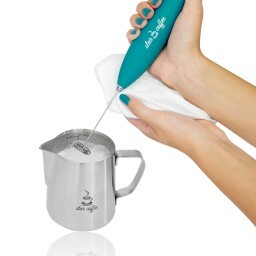 Thanks to a sleek, lightweight design and one-button operation, you can use our battery-powered electric milk frother on hot or cold milk, to mix a variety of delicious drinks and cocktails, and to beat eggs or thicken soups. 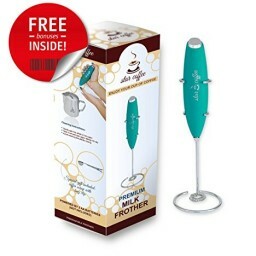 Use it to make your kids milkshakes, put a little foam on your espresso, or just whip up some homemade salad dressing; made of premium stainless steel, our latte maker cleans up easily with just a little hot water so you can use it again when you’re ready!